Is your flat or sloping roof more than 10 years old? If your sloping or flat roof has a conventional felt covering which is more than 10 years old, it is likely that it has already started to rot. 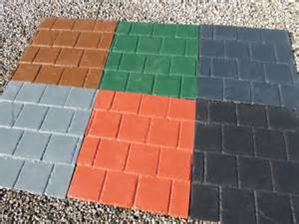 This degradation is generally not easy to spot due to the buildup off moss and dirt. 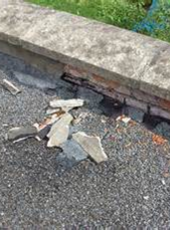 However, as the sun causes the bitumen to blister producing air bubbles beneath the felt and the wind and rain continually breakdown the joins on each strip of felt, it is easy to understand why these roof coverings become ineffectual and eventually leak. 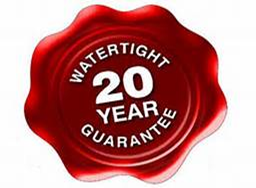 We can guarantee your roof will never leak again! 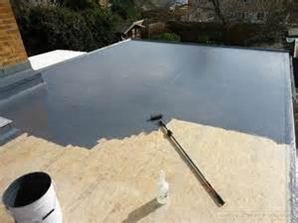 What Is A GRP Roof? 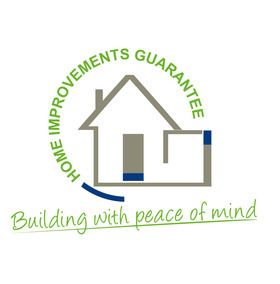 Peace of Mind - The GRP roofing Guarantee Protection Scheme ensures that you continue to receive the highest quality product and service support for a full 20 years. What’s more, recent studies have shown, some of the earliest GRP roofs laid more than 35 years ago are still in service today. In fact, manufacturers speculate that the life of a GRP roof is in excess of 100 years. Less Disruption – 100m2 of roof would normally take 5 days using conventional systems. 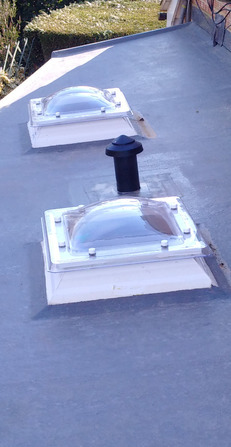 Because a GRP roof is constructed from one layer and is applied cold (no flame installation), it can be completed within 2-3 days and is adapted for seasonal variation in temperature to allow installation year round including temperatures down to 0°C so there is no calling off labour and delays to projects due to the cold! Maintenance Free - Compared to old traditional felt roofing, which often comes apart overtime letting the elements in, GRP roofing renowned for its strength, is resilient to moss and general weathering and provides a lasting barrier to water penetration and sunlight. Completely Watertight - With the entire roof encapsulated into one single monolithic GRP membrane, there are no seams, joints or welds which are normally the weakest point of any roof - it remains completely watertight and UV resistant. Tough, Seamless & Hardwearing - Due to its extreme durability, versatility and strength, and the fact that it’s incredibly hard wearing and resistant, GRP makes the ideal roofing product application. Skylights, vents, solar panels and other roof features can also be weatherproofed or incorporated into the substrate with ease. GRP is available in a range of different colours and a choice of 3 finishes for the topcoat; standard smooth finish (any colour), coloured aggregate finish (any colour, rough) and mineral coat (non-slip exposed slate finish). Insulation Properties - Glass reinforced plastic is lightweight. It has a high strength to weight ratio, and with excellent thermal insulation properties it will keep your room or garage warm and dry. Much less energy is used to produce GRP compared to many other roofing materials. The cured polyester roofing resins used do not give off substances that can harm the environment or create any other toxic by-products and can be specified to comply with the latest Part L (energy efficiency requirements) of the Building Regulations. 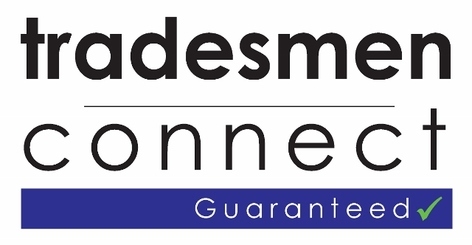 The GRP roofing Guarantee Protection Scheme ensures that you continue to receive the highest quality product and service support for a full 20 years. What’s more, recent studies have shown, some of the earliest GRP roofs laid more than 35 years ago are still in service today. 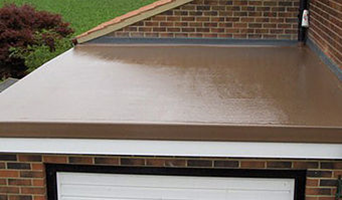 In fact, manufacturers speculate that the life of a GRP roof is in excess of 100 years. 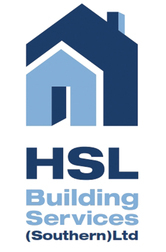 HSL Building Services is Surrey’s leading provider of GRP (Glass Reinforced Polyester) roofing. Based in Woking, we supply and install “Cure It”, the UK’s leading GRP flat roofing system that has already been installed on millions of square metres of roofs throughout the UK. GRP is a superior alternative to conventional roofing materials and will outperform any other traditional roofing material, even having the potential to outlast the structure it is protecting. Our team are fully trained in the installation of GRP and with our vast experience and personal touch, we can ensure every HSL client is completely satisfied.